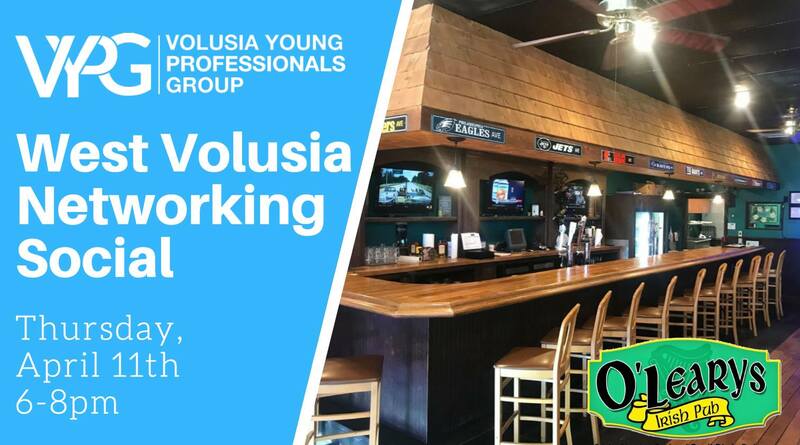 Save the date and join your West Volusia Young Professionals on Thursday, April 11th from 6-8pm at the April West Volusia Networking Social! 🍺 We are excited to announce another new venue, O’Leary’s Irish Pub! We will host a Professional Clothing Drive benefitting the Daytona state college Center for Women & Men! The Center for Women and Men accepts gently used women’s and men’s business and business casual attire. Students can achieve a professional image for job interviews and employment. We ask that you bring gently used clothing items and in return you will receive FREE admission into the social!! All attendees will receive 1 drink, appetizers and networking with other 20, 30 and 40 somethings looking to build professional and personal connections. All attending VYPG members (and new members) have the opportunity to be selected as our Member of the Month from our business card drawing. Our Member of the Month is featured on Facebook and in our weekly e-newsletter.